Even with smartphones chock full of hundreds of useful apps, the geeks of the world will never be satisfied until the handheld tricorders from Star Trek are made a reality. And thanks to Dr. Peter Jansen, they could be just around the corner. With a physical design that's remarkably close to the clamshell tricorders seen in Star Trek: The Next Generation, Dr. Jansen's Tricorder Mark 2 has actually been in development for over five years now. 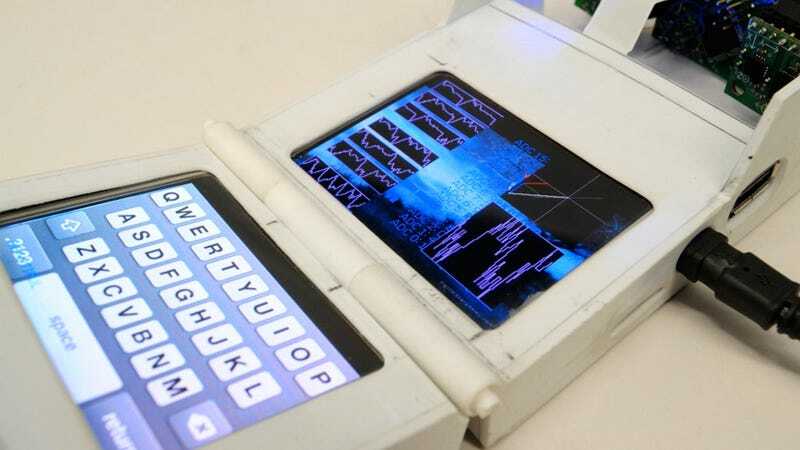 On the inside you'll find a set of OLED touchscreen displays, and even though that keyboard is very reminiscent of iOS, the tricorder instead runs Debian Linux. You also won't find any dilithium crystals inside, since the Mark 2 is powered six AAA batteries. But it's the array of atmospheric and electromagnetic sensors squeezed inside the Mark 2 that truly make it worthy of being called a tricorder. It's able to measure atmospheric pressure, humidity, temperature, magnetic fields, and light levels.